ETO Planet is a leading Energy Technology Optimization provider. By offering turn-key engineered solutions and upgrades, ETO Planet enhances boiler room and power plant performance by reducing operating costs and environmental impact, while increasing reliability, efficiency, safety and compliance. In addition to selling boilers, hot water generators, and leading edge condensing stack economizers, ETO Planet designs automation and control systems. ETO Planet performs safety and compliance audits, field services, and delivers operator training courses. ETO Planet is a distributor, engineer and manufacturer of select, high-efficiency power plant products, controls and equipment. ETO Planet staff consists of experienced engineering professionals and technicians who have a successful track record of designing and manufacturing award-winning technology and automation solutions. ETO Planet’s high-quality and efficient products and equipment can be optimized for enhanced performance through systems automation controls integration which are compliant with industry standards. Solutions Partner Manager, Siemens Industry, Inc.
Want to know more about ETO Planet? ETO Planet was created following the merger of Steam Plant Systems, Inc., Control Associates LLC and Power Equipment Systems, Inc. [doing business as Condensing Heat Exchange (CHX)]. 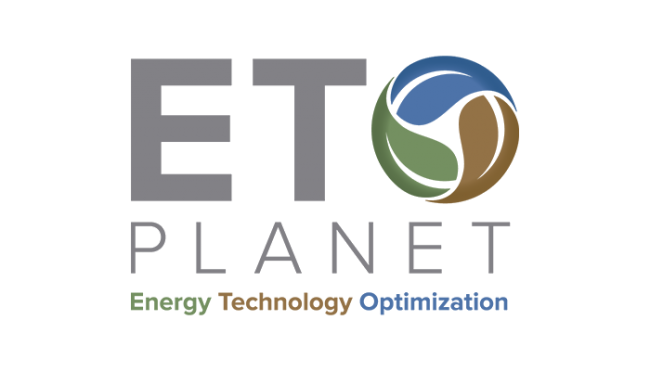 The resulting corporation, Steam Plant and CHX System, Inc. (SPCSI) has combined talents, optimized technologies, acquired product lines, and packaged superior services to form one brand, ETO Planet. ETO Planet’s mission is to raise the bar for customers seeking to increase reliability, efficiency and sustainability in their energy processes, by delivering intelligently engineered, full-service solutions to power generation stakeholders. © 2019 ETO Planet | Energy Technology Optimization. All Rights Reserved.